Want your first grow to be a special one? But, you might not be sure exactly which cannabis seeds to pick: Autoflowering or photoperiod flowering? Feminized or regular? Should I first grow sativas, or indicas, or a hybrid; or should I grow different strains? 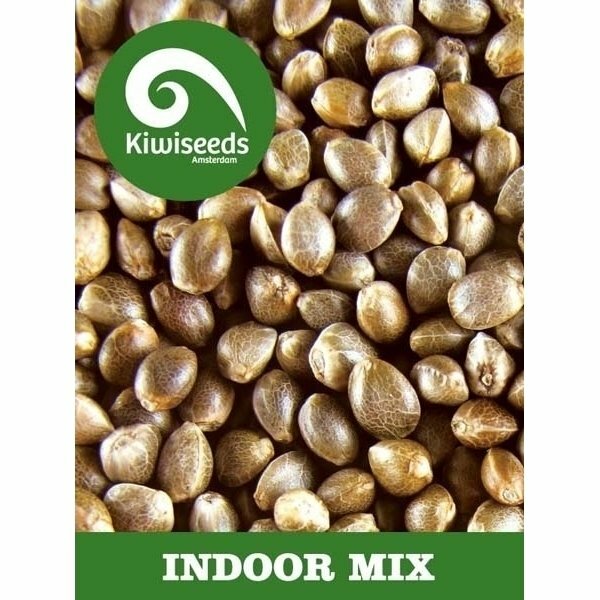 This indoor mix was selected by Kiwi Seeds just for cultivators like you. As a cannabis newbie first entering the world of marijuana cultivation, the vast selection of cannabis seeds available (we, ourselves, offer pages upon pages of different seeds!) can be confusing and intimidating. The terms “autoflowering seeds” and “photoperiod flowering seeds” may mean absolutely nothing, yet all the seed descriptions seem to play it up as one of the most important traits of the strain. On top of that, there are strains bred for tight indoor spaces, strains bred for cool outdoor climates, strains for warm climates, for indoor scrow grows, for indoor regular grows, for hydroponic grows, for aeroponic grows, seeds that are pure sativa and strains that are pure indica, seeds that are hybrid and seeds that are “dominant” of one or the other, strains that produce high yield and low yield, seeds that flower quickly and flower slowly, plants that grow dense and grow out, and more, and more, and more. And having such a huge selection of cannabis seeds is always great; don’t get me wrong. But how do you go on deciding what to grow? The expert cultivators over at Kiwi Seeds have offered a helping hand. For the Kiwi Seeds Indoor Mix, a handful of seeds were specifically picked for their manageable size, short growing time, and high THC percentage. The batch is a sure-fire success in most any indoor grow areas, and the picks are easy to grow and resistant to problems like mold and nutrition deficiency. Snag yourself a batch of Indoor Mix seeds if you’re a new grower and want a head start in your cultivating career. Or, try one out if you’re looking to add a few more flavors and strains to your already developing cannabis garden. 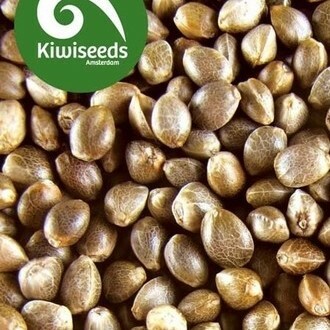 Advanced cultivators can even give these favorites of Kiwi Seeds’ breeders a shot, or even cross them with premium strains of their own to produce a new, possibly even more wonderful indoor cannabis seed. It might just turn out to be that strain you’ve always wanted! All the cannabis plants in the mix grow to be around a meter tall, sometimes up to 1.2. Prepare to harvest a big yield of around 400 or 500 grams per square meter of space. There seeds in the mix vary in their sativa to indica ratios, but on the whole, they’re indica dominant, keeping up the big yield while holding back the plant’s height. Milky Way seeds yield some of the finest indica buds we’ve come across. Kiwi Seeds bred the potent, high-yielding prize by mixing some of their select premium indica strains with a little “something special,” a trade secret. The Milky Way seed is the sublime, sweet-and-spicy result of years of passion in the field from the people over at Kiwi Seeds, and its ivory-white seed blooms into buds completely snowed over in frosty, white THC crystals. Give Milky Way a few extra days in the flowering period, and she’ll yield more than you ever thought you could get out of that tight indoor space of yours. An inside tip: wait until about a third of the sugary trichomes mature to a golden amber, then harvest your yield. Big results. And when the cannabis smokes, it is truly divine. Hindu Kush burns with a flavorful indica taste and hits with a deep indica stone. It’s what you’d expect after seeing some of its resin dripping buds packed in dense clusters along the branches of the plant. And with a good yield, even the smallest and most cramped of indoor plant-packed grow areas will provide a lasting stock of bud with just a few Hindu Kush cannabis seeds. The strain vegetates, flowers, and is ready to harvest quickly. She grows conveniently short, and her sturdy indica branches support the dense buds without any external help. The large, teal green-blue leaves that grow over the clusters and colas are gorgeous, and altogether, Hindu Kush cannabis seeds are a first-rate indoor grow. Skunk lovers, don’t fret, because right in this mix, Kiwi Seeds is bringing you some of the best skunk seeds for indoor grows available. Hand-bred by the researchers at Kiwi Seeds’ labs, the strain brings all the heavenly skunk cannabis qualities you’d expect while fighting off mold better than ever before. And the big Kiwiskunk buds smell up a storm, so if your indoor grow needs to be discrete, get out those carbon filters. The cannabis seeds flower quickly and bloom with that super-high “calyx to leaf” ratio, i.e. THC to plant matter ratio, that classic, well-crossed skunk seeds can achieve. For a sativa seed, Kiwiskunk plants vegetate to a minimal and manageable height, thanks to the expert genetic selection that Kiwiseeds had to select from when creating the strain. And with its phenomenal aroma and glistening crystals, Kiwiskunk plants will add an extra spark of flair to any admirable indoor grow setup.